If you are teaching your children about government and laws then this freebie is for you! It is important to learn the difference between Common Law and Civil Law. 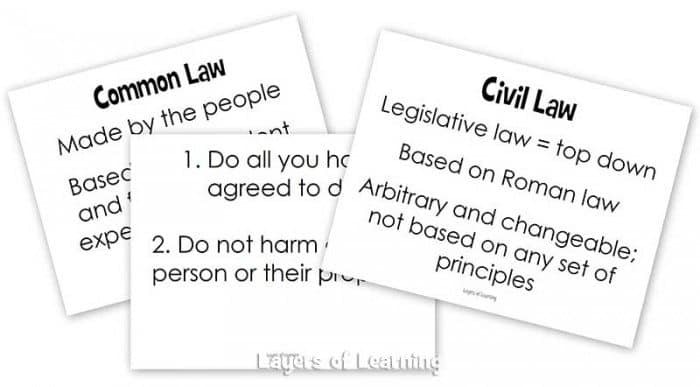 These printable pages display the major differences between Common and Civil Law and the two principles of Common Law. Download your FREE Common Law vs. Civil Law printables HERE!